Shah Rukh Khan-starrer ‘Chennai Express’ broke the record set by Aamir Khan’s ‘3 Idiots’. It now has the distinction of being the biggest grosser of all times in Hindi cinema. The Raj Kumar Hirani-directed ‘3 Idiots’ was the first true mega blockbuster since business became dominated by multiplexes. Now, Aamir is all set to reclaim the title with his next film in the same year as his record was broken. ‘Dhoom 3’ releases this December and the actor believes that the `Chennai Express’ record will be smashed in the next two months, while his film held the record for four years. 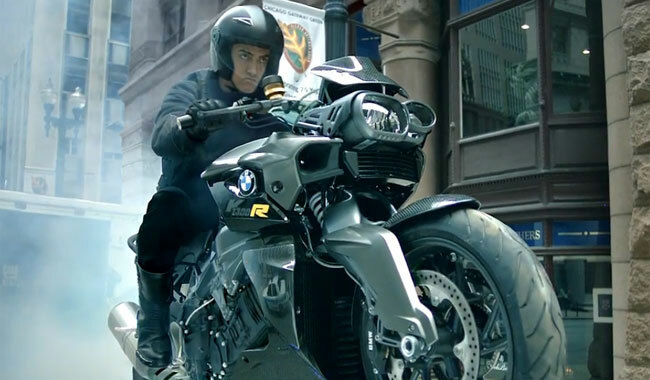 Says trade analyst Komal Nahta, “The trade buzz is extraordinary for ‘Dhoom 3’. If you ask me whether D3 will break the records set by Chennai Express, then the answer is, yes, 100 per cent it will! Records are made only to be broken but the question is how soon? It took four years for the record of 3 Idiots to be broken, but I feel now records will be broken in a shorter time span. There are too many multiplexes growing every year, ticket rates are being hiked and the overall business is on the upswing so records will break faster. Aamir will excel again in D3. The expectations are very high. For the first time people will see him in a negative role. He has worked on his body and gone through so much pain and effort. With every film Aamir takes his career five steps forward.